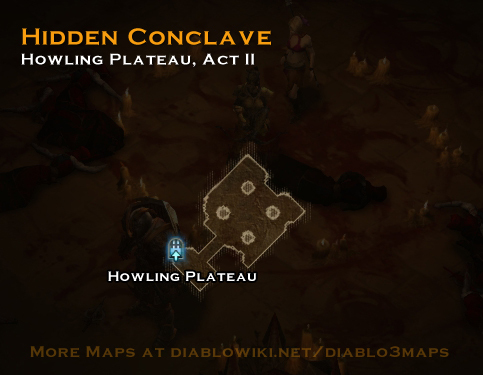 The Hidden Conclave appears in Act II in the Howling Plateau. It is a very small dungeon that appears in one of two locations within the area. Other than featuring in the quest Shadows in the Desert there is nothing else notable connected to it. This page was last edited on 7 February 2013, at 22:03.